Daily Life in the Island of Fernando de Noronha. 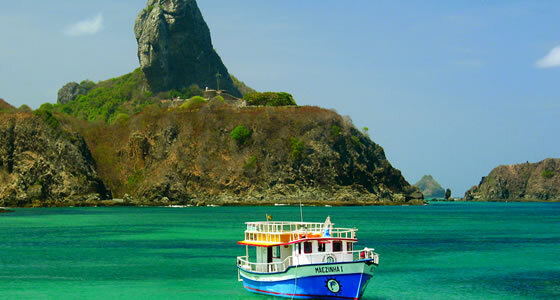 Learn about the daily routines in the Island of Fernando de Noronha. Housing a protected marine park and a resident population of only around 3000, the daily life at Fernando de Noronha revolves around promoting tourism, its main revenue source, on one hand and maintaining the delicate ecosystem that exists here, on the other. Most of the locals work in the tourism industry and the daily activities of this part of the population include cleaning and maintaining the hotels or pousadas, which are basically homes that have been converted into guest houses of lodges. The fishermen of the island bring in the fresh catch daily from beyond the protected areas and deliver it to the various restaurants, where cooks and chefs specialize in service local and international seafood delicacies. Other people work as instructors at the dive centers or teaching people to snorkel or surf, while the rest of the population serving the tourists operates boats dedicated to various activities or run small stores selling souvenirs or renting equipment or vehicles. Various organizations including TAMAR and IBAMA have centers on the island or representatives that are involved in monitoring environmental activity, research or educating the locals and tourists. Daily activities of these people include collecting data on marine animals such as dolphins, sharks and turtles, overseeing tourist activities to ensure that regulations are not being violated, conducting awareness and educational programs for the locals on topics that promote ecotourism and sustainable development and providing information to tourists. An ideal day for a tourist would include a morning dive or snorkeling session, a regional lunch at one of the island’s many restaurants, an afternoon boat tour to watch the dolphins, a few hours on the beach to sunbathe and watch a gorgeous sunset, and a quick drink and dinner at one of the local bars, before heading off to watch baby turtles hatch and make their first expedition into the ocean.